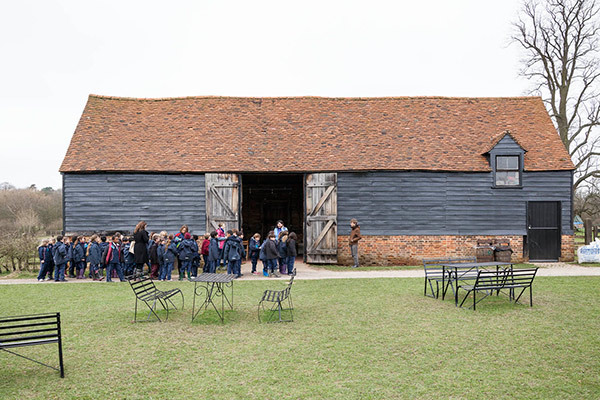 A guide to the resources available for managing your school trip to Chiltern Open Air Museum. We would be delighted to welcome up to two members of school staff to the Museum for a pre-visit. Please bring proof of your booking (either a confirmation email or your booking confirmation form) to show the ticket office. We have created a generic Assessment of Risk to support you as you create your personalised risk assessment. Please read our ‘Frequently Asked Questions’ document. School Shop Packs cost £4 each. Shop Packs will contain items that link to your workshop theme. The Museum shop has a good range of pocket money priced items. If you wish to visit the Museum shop please let us know in advance. Children will need to enter our shop in small, supervised groups rather than as a whole class. The Museum shop is closed during the winter period from November to March, so only Shop Packs are available during this period. A specific time and venue will be identified on your timetable. If the weather is fine then you are welcome to eat outside in any of our designated, open spaces. Unfortunately, it isn’t possible for you to use the picnic seating outside our Tea Room this is for our Tea Room customers only. Picnic tables are available for general use outside Northolt Barn. You can watch our video of a school visit to the museum. Ask the children about their expectations before the visit and compare these expectations with their actual experience. We would be very interested in hearing their feedback, what did they like or dislike? Please download any of our self-led resources to support your visit to the Museum.